With Marvel Studios surprisingly sitting out this year's Comic-Con, all the attention was DC's to lose this weekend. Thankfully the studio hasn't disappointed, with the first trailer for Shazam! having already made it debut, and now they've given us a trailer for Aquaman as well. The James Wan directed epic starring Jason Momoa as the led has already sounded very ambitious from what we've heard about it, and the footage we see here lives up to that standard. Adapting a superhero who wasn't taken seriously for years and lives in a complex under water society is no easy feat, but thankfully Wan has boldly taken on that challenge. Alright so there's a lot to pack in from this trailer, but one thing it makes clear as this is indeed partially an origin story. While Arthur Curry has already participated in the events of Justice League at this point, this will be his first time returning to Atlantis to retrieve his rightful thrown. This has already brought up a striking similarity to Black Panther, where an outside character returns to the society he was born in to become its ruler. Only in this case, Curry will have to take on his half brother Ocean Master (Patrick Wilson) for that honor. 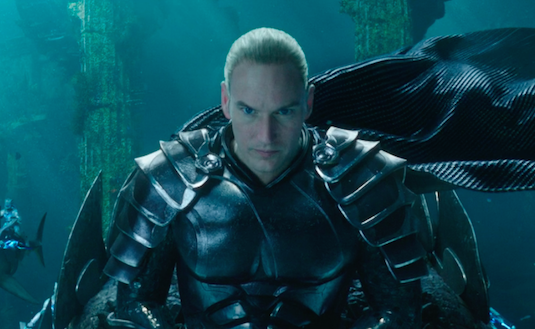 The trailer makes clear that Ocean Master is indeed the main villain of the movie, and apparently wants to wage a war with the surface world. We get glimpses of Curry's past which seems reminiscent of what we saw of Clark Kent's childhood in Man of Steel, so we'll be getting a lot more explanation of who his parents were and how his mother ultimately meets her end. We also see a teenage Arthur training with the Atlantian Vulko played by Willem Dafoe, who will apparently be his main remaining tie to Atlantis growing up. 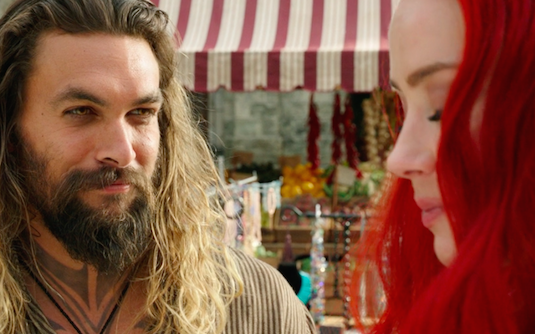 Although most of the movie takes place in Atlantis from what we've seen, we'll apparently be seeing land adventures with Arthur and Mera (Amber Heard) featuring the human Black Manta (Yahya Abdul-Mateen II). Its unknown just how important Manta will be in this movie, but its likely he'll serve as a secondary villain working with Ocean Master in some capacity. The character is donning a suit basically straight out of the comics, and will also apparently have an army with him who are similarly armored. 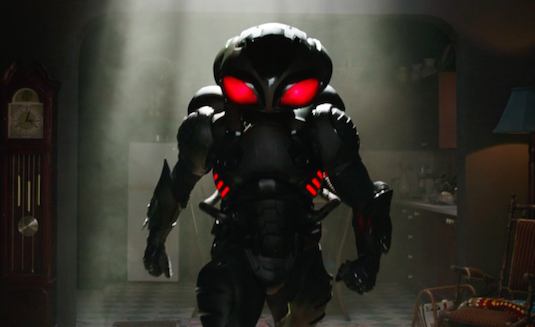 This version of Black Manta is apparently a pirate taken out by Arthur Curry earlier in the narrative, so its likely this is why he hold a vendetta against him. Manta ends up being Aquaman's arch rival in the comics, so we can probably expect his role to be expanded on even more in sequels. 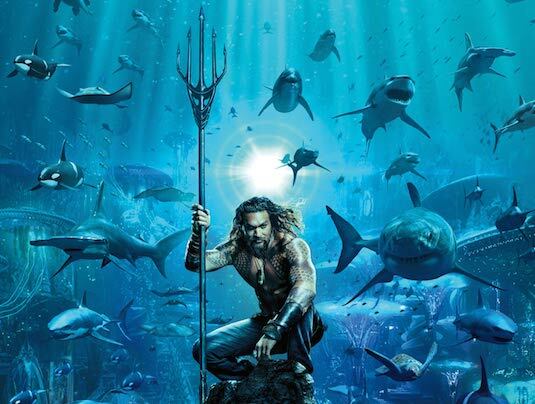 So what did you think of the first Aquaman trailer? Do you think DC has a hit on their hands? Let us know below!